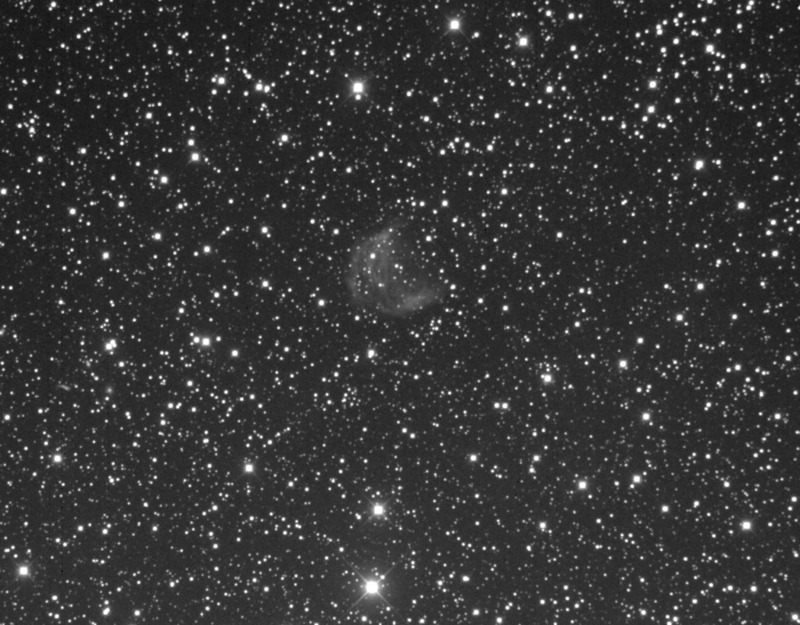 Also known as Abell 21, this planetary nebula is faint and will need more exposure time. Two very small 15th magnitude galaxies can be seen near the left edge of the image. See this nice color image by Chris Schur.